Located in beautiful British Columbia, Nordic Yarn Imports is a family company, distributing fine yarns to retail stores across Canada. Products from Norway, Denmark, New Zealand and Uruguay are available as well as supporting products such as patterns, books, and needles. A new addition from Garnstudio, Lima, is a DK weight that joins the family of Andes, Nepal and Flora. Also there are new colours in Nepal, Sky, Air, Brushed Alpaca Silk, Merino Extra Fine, and Big Delight. A new quality from Sandnes Garn, Tynn Line. A cotton/linen/viscose blend, it is a perfect new yarn fro spring. 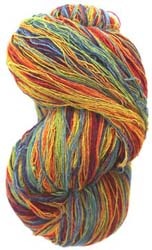 Also new shades in Mandarin Petit, Lanett, Duo, Sisu, Silk Mohair, and Tynn Merino. A new shade in Kauni.